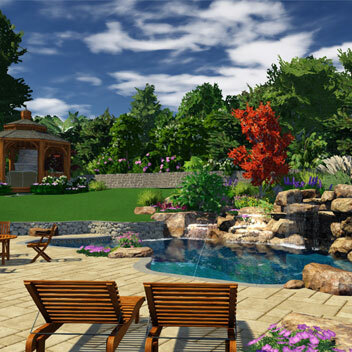 From small patios to large pools, outdoor kitchens, and fireplaces - the best landscapes start with proper planning. At Riverstone, we believe every project can be exceptional. Let us design and walk you through a 3-dimensional environment custom designed for your home. Let's discuss the ways we can make your dreams a reality. 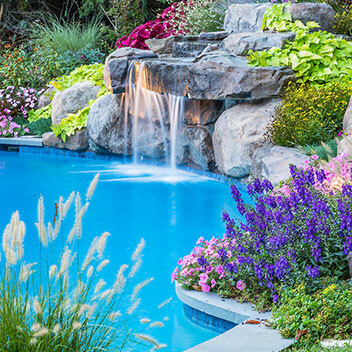 Rely on our expertise when it comes to installing your new garden. 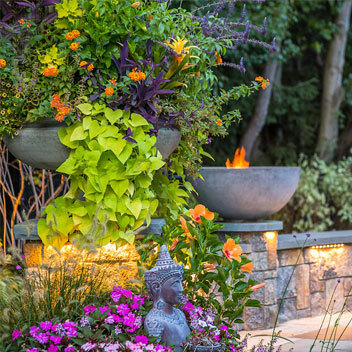 From selecting the right plants to considering aesthetic decisions like leaf texture and bloom times, let Riverstone's experienced crews make sure your investment gets off to a great start. All great gardens are a work in progress. Let our team of experienced gardeners care for your landscape annually. Proper pruning along with yearly services such as dividing and transplanting keep your investment looking its best. Add seasonal color to beds and containers for even more wow factor. We have worked with Riverstone Design every year for at least the last five years. Andy transformed our average, bland suburban backyard into a gorgeous Zen-type space. Andy’s attention to detail, his eye for color, and his understanding of the client’s vision are what set Riverstone apart from other landscapers. We wouldn’t think of having anybody else take care of our landscaping. Andy, and Riverstone Design, simply stated is just the best. My husband and I moved into Ridgewood with our young son and bought a house that needed some TLC. It was very overwhelming, especially the outside landscaping. We have a classic style home, so we wanted the design to keep the original integrity, but in the same turn, modernize it for our family. Andy's design was everything that we had dreamed of -- it completely transformed our property. Andy's attention to detail, understanding of elevation and grade and knowledge of so many interesting trees, shrubs and flowers made for a spectacular finished product. We love to entertain and now we are able to enjoy spending time outside with our, children, friends and extended family and feel so lucky to have such a beautiful space to enjoy! We have been working with Andy from Riverstone for the past 15 years. We hired him on a friends recommendation to design the landscape for a new home we were building at the time. Our property is large, rocky, with lots of deer that pass through. When faced with those challenges Riverstone provided us with a garden design that has grown in beautifully. I very much enjoy watching the landscape plants change seasonally. There always seems to be something in bloom. We love his passion for design and the pride he takes in our property. I couldn't imagine using another landscaper. And I couldn't recommend Riverstone Design Studio more highly.